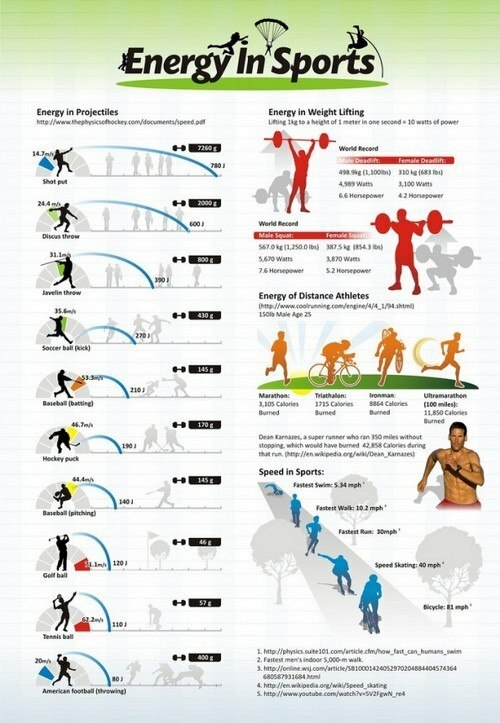 Did you ever wonder how much energy or how much power athletes expend when performing? Certain sports require a small amount of energy to be very precisely directed, while other sports require a large amount of energy to be exerted in a very short amount of time. 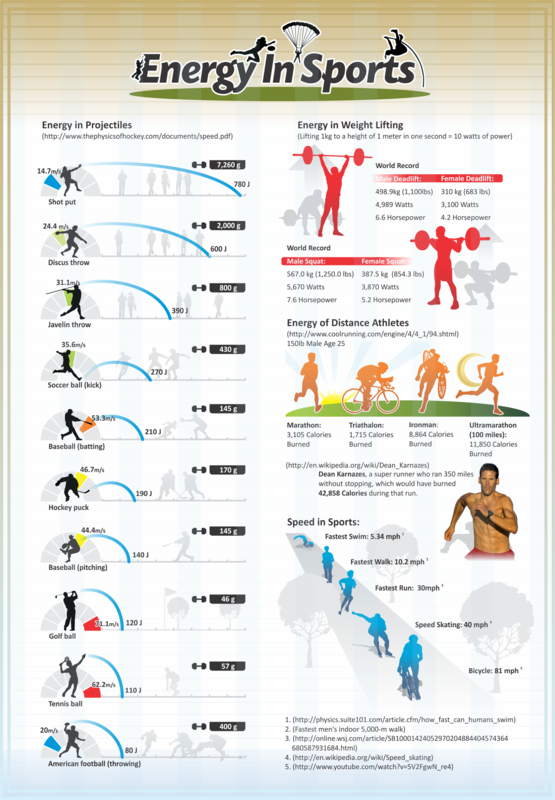 The following infographic takes a visual look at how much energy atheletes in some of the most popular sports are expending. Image Created by Wellhome.com Insulation and Energy Audits.